At Miquon, establishing connections is a major part of our community-building time at the start of every school year. It creates a supportive environment where students can feel confident acquiring new skills and taking academic risks in the classroom later on. 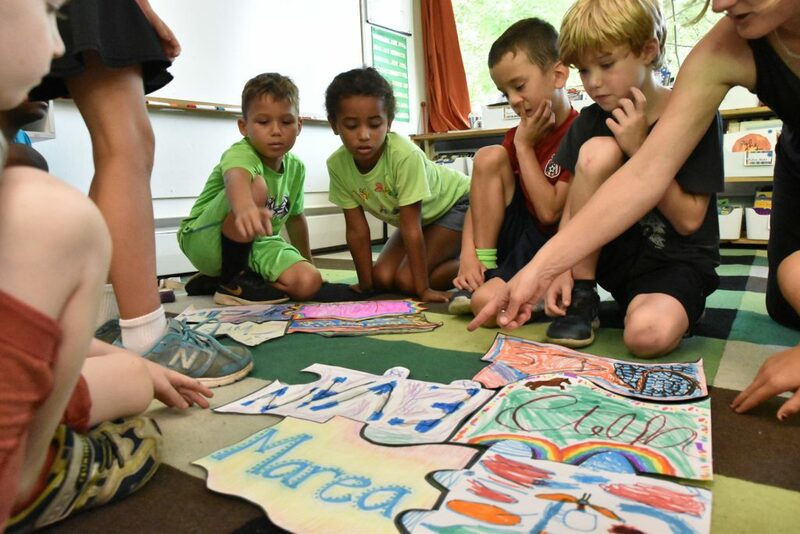 During the first week, some of the work in our first and second grade group involved asking children to write their name and illustrate who they are as a person on an oddly shaped piece of paper. 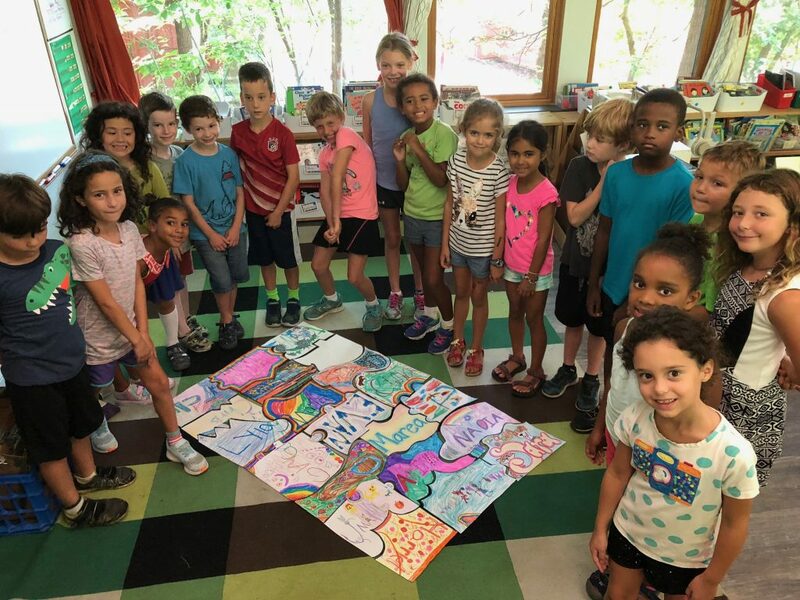 Next, we explained that each piece of paper was really a giant puzzle piece–and that when their artwork was completed, children would work together to determine how their individual piece fit into the larger whole to complete the classroom puzzle. The children were enthusiastic about the project in different ways. This project made space for all of the learners in our classroom—while certain students really loved the artistic part, others were more interested in how the pieces fit together. Following the activity–as with many classroom projects at Miquon–we encouraged children to reflect on how things went. Not only did students see how we can work together and support one another, several noticed they had to be careful of the pieces and take their time with the process, respecting others’ work. As the children continue to build their classroom community and work on projects together this year, our goal is for children to remember their connectedness. It is funny how fit together in surprising ways–but sometimes, just like with the puzzle, we have to work at it. Community is all about how we are connected! Come to Open House on Oct 20 at 1:00 pm and learn just how we do it at Miquon.